Frequent leadership changes within the North Korean military caused some to question if the Kim Jong Un regime is unstable. The South Korean newspaper Korea Joongang Daily wrongly reported 29 August 2016 that two officials in the North had been executed: Hwang Min, a former agriculture minister, and Ri Yong Jin, with the education ministry. The news organization also reported that the officials were killed with an anti-aircraft gun. Seoul’s Unification Ministry later issued a statement 30 August 2016 correcting the report. The North's vice premier for education, Kim Yong Jin, was executed for being “an anti-party, anti-revolutionary agitator,” and the head of the North's United Front Department, Kim Yong Chol, was made to undergo revolutionary measures." Since taking over after his father’s death in late 2011, Kim had carried out a series of executions of party and military officials. At least 100 North Korean officials have been executed since Kim Jong Un took power in December 2011, the ROK Institute for National Security Strategy said in 2015. The most high-profile was the December 2013 execution of Jang Song-thaek, Kim’s uncle and former political guardian. Another high-profile execution was that of Hyon Yong-chol, North Korea’s former defense chief, who South Korean intelligence said was executed by firing squad in April 2015 on charges of dozing off during a meeting attended by the supreme leader. Pyongyang’s state-run news agency on 26 June 2014 referred to Hyon Yong Chol as minister of the People’s Armed Forces, replacing Jang Jong Nam, who held the position since May 2013. This was the fourth time the holder of this position has been changed since Kim assumed power at the end of 2011. Bruce Bennett, a senior defense analyst at the RAND Corporation, told VOA such frequent leadership shake-ups were a change from his father, Kim Jong Il, who replaced his defense minister only three times during his 17 years in control. North Korea on 17 July 2012 announced that it had promoted longtime field commander Gen. Hyon Yong-chol to vice marshal, a day after it revealed its dismissal of General Staff Chief Ri Yong-ho. The announcement promoted speculation that Hyon, considered an obscure military figure in the South, may take up the post of the general staff chief, which was equivalent to Seoul’s Joint Chiefs of Staff chairman. Hyon, who was presumed to be in his early 60s, was known to have served in the 8th Army Corps since 2006. The corps was in charge of guarding the communist state’s northwestern areas including those near the border with China. Personal security around Kim was dramatically stepped up in March 2013, according to intelligence sources in South Korea, with armored vehicles deployed close to his personal residence in Pyongyang, troops armed with automatic rifles on the streets of the city and mobile phone signals jammed at public events that the North Korean leader attended, apparently out of concern that they could be used to detonate a bomb. Four months previously, there were reports of outbreaks of gunfire on the streets of the North Korean capital between factions within the military and heightened discontent in some quarters with the way in which Kim was managing the country. Kim Jong Un made numerous changes to his government since becoming North Korea's supreme leader in 2011. Chang was a four-star General and vice-chairman of the National Defense Commission yet had little formal control over defense and military portfolios. Chang was believed to be a relatively pragmatic advisor to Kim Jong Un, but his influence probably waned in 2013. Chang’s public appearances with his nephew, which was used to signal an individual’s importance within the regime, dropped 50 percent in 2013 compared to 2012. Chang’s execution was the most significant step to date in Kim’s establishment of his authority, eliminating arguably the most influential senior Party official remaining from his father’s era. The sudden and brutal purge sent a strong message to regime elites that the formation of factions or potential challenges to Kim Jong Un would not be tolerated. Jang was married to Kim Jong-un's aunt, Kim Kyong-hui, the younger sister of late leader Kim Jong-il. Kim Kyong-hui had not been seen in public since September 2013. Heung-kwang, who defected to South Korea in 2004, disclosed that Kyong-hui killed herself on December 17, five days after her husband's execution, because she "didn't have the will to live." The general consensus among political analysts was that Jang was the loser in a power struggle with Vice Marshal Choe Ryong-hae, foretelling a major shift in North Korea's power structure. Choe was one of the four members of the decision-making Presidium of the Central Committee Workers' Party and vice-chairman of the Party's Central Military Commission. The 31-year-old Kim Jong-un launched a reign of terror in late 2013 when he executed his uncle Jang Song-thaek. Jang Song-thaek had been considered the “control tower”, due to his role as a guide to the new leader, and was widely considered to be second-in-command within the DPRK power structure. He was the husband of the sister of Kim Jong-il and daughter of Kim Il-sung. Jang Song-taek's two aides Ri Yong-ha and Jang Su-gil were executed publicly in late November 2013. The two were said to have been executed on charges of plotting anti-communist party schemes against the Kim Jong-un regime. On 13 December 2013, North Korea announced the overnight execution of Jang Song Thaek. According to a KCNA news report, "a special military tribunal of the DPRK Ministry of State Security was held on December 12 against traitor for all ages Jang Song Thaek." The end result being that "all the crimes committed by the accused were proved in the course of hearing and were admitted by him." Long considered as the country's second most powerful man and Kim Jong-un's former mentor, Jang Song-thaek was sentenced to death for being a traitor who had tried to overthrow the state. Jang was executed after admitting to his crimes before a military tribunal. The execution came just four days after Jang was dramatically removed from a Workers' Party session by armed guards. Reports that Kim’s uncle Jang was killed by a pack of starving dogs have been discredited. The original report was apparently a satirical post on a Chinese social media network that was taken as fact and went viral. Kim Jong-un accused Jang and his allies of double-dealing behind the scenes, dreaming different dreams, and selling the country's resources at cheap prices thereby threatening North Korea's economic development. Jang's removal marked the most significant shake-up in two years under Kim's leadership and suggests the North's young leader was willing to go after his rivals publicly, and in ways more secretive than his father Kim Jong-il ever did. Kim Jong-un made sure that no one gained too much power. Choe Ryong-hae, who was generally regarded as the second-most powerful figure within the regime, was frequently moved up and down the power ladder. By January 2014 entire families directly related to Jang, who was executed in December for plotting to overthrow the regime, were put to death with their children and grandchildren. The sources say those killed include Jang's sister Kye-sun, her husband and Ambassador to Cuba Jon Yong-jin as well as Jang's nephew Jang Yong-chol, Ambassador to Malaysia. Jang's absence would most likely be felt in the economy, as Chang was in charge of several high-profile initiatives, particularly with China, to attract foreign currency and investment to North Korea. Jang had been the chief North Korean agent in North Korea’s engagement with China, and official North Korean statements about the circumstances of his purge and execution suggest his relationship with China was treasonous. The event stunned and upset Chinese officials, and Jang’s execution likely had the effect of discouraging other North Korean officials from seeking close ties with Beijing. South Korea's spy agency said 29 April 2015 North Korea's young leader, Kim Jong Un, had ordered the execution of 15 senior leaders in 2015. Seoul spy officials provided that information to lawmakers during a private session of parliament, according to lawmaker Shin Kyung-min. One of the executed officials was said to be a vice minister for forestry, who was killed after complaining about Kim's forestation plan. The information could not be confirmed. North Korea's notoriously secretive government had not commented on any of the executions. North Korean Defense Minister Hyon Yong Chol was charged with treason and gruesomely executed by anti-aircraft gun fire on 30 April 2015, with hundreds of soldiers watching. It was the latest in a string of purges under North Korean leader Kim Jong Un. Hyon had frequently expressed his dissatisfaction with Kim Jong-un's leadership and neglected to follow Kim's orders on several occasions. He even dozed off during a speech given by Kim at a large-scale military gathering, a behavior that was intolerable in North Korea. As with past purges, there were no outward clues that Hyon, 66, was in any danger. Hyon visited Moscow to make arrangements for Kim Jong-un to attend Russia's Victory Day ceremony on 08 May 2015, which would have been Kim's first trip abroad since taking power four years ago. But it was an appointment the young leader didn't keep, and there was speculation that it may have been because Hyon failed in his diplomatic mission there. Following the example of his father and grandfather, Kim Jong-un may have decided to continue the tradition of “non-participation” in international events, where he was not the top figure, or at least one of the two or three top figures. Kim Jong-un would definitely not have been among the most important figures. Many visitors, especially Xi Jinping, would have occupied a much higher place in the hierarchy. From the point of view of Pyongyang, the main arena of World War II was not Europe, but Asia. The head of the aggressive bloc was Japan, not Nazi Germany. Accordingly, the main hero was Kim Il-sung, not the Soviet army. Therefore, a trip to Moscow would imply, to some extent, recognition of the importance of the European theater of war. It was most likely that the current North Korean leader was not ready to acknowledge this. A member of the powerful National Defense Commission since September 2014, Hyon became defense minister in June 2014 and had been on Kim Jong Il's funeral committee, a position signaling his proximity to the late leader. However, many of those on that committee had been removed from power, reflecting the formation of a new power base around his son, Kim Jong Un. General Pyon In Son, head of operations for the North Korean army, was reportedly executed in January 2015 for disagreeing with Kim Jong Un. In May 2015, South Korea’s intelligence agency said about 70 North Korean officials had been executed since Kim took power after the death of his father, Kim Jong Il, in late 2011. On November 10, 2015 the notable absence of one of Kim Jong Un's most powerful aides at a state funeral sparked speculation of another high-level purge inside the secretive authoritarian regime. Choe Ryong Hae, secretary of the ruling Workers' Party, was not among the names on the list of about 170 officials attending this week's state funeral for Ri Ul Sol, a 94-year-old marshal of the Korean People’s Army, who fought alongside North Korean founder Kim Il Sung against the Japanese in World War Two. Choe Ryong Hae may be undergoing re-education as punishment, a source in Seoul said 12 Novembe 2015. The secretary of the ruling Workers’ Party, once was viewed as one of North Korea’s most powerful figures and was seen as Pyongyang’s point man on Beijing. Choe traveled to Beijing in September on behalf of Kim to attend a military parade marking the 70th anniversary of the end of World War II. Choe’s family background was a possibility. Choe was the son of Choe Hyun, an iconic military figure who also was a member of a guerrilla unit that fought against the Japanese army. Choe’s dismissal could be Kim Jong Un’s calculated move to remove the descendants of the first generation of top military officials, who are holding key positions in the military and the party, from his inner circle. Choe’s dismissal was likely to diminish the influence of the second generation of the North Korean guerrillas and embolden a rule by Kim’s inner circle. North Korea's state-run media reported on the activities of a Korean Workers' Party secretary who was believed to have been sent to a remote farm as a punishment. Choe Ryong Hae was a close aide to the North Korean leader, Kim Jong Un. The media reported on 15 January 2016 that Choe gave a speech the previous day at an event for a youth organization of the Korean Workers' Party in Pyongyang. The first media report on Choe in about three months provided official confirmation that the party secretary has been rehabilitated. Korean Central News Agency reported on 30 December 2015 that Kim Yang Gon, a secretary of the Workers' Party and a close aide to leader Kim Jong Un, died at the age of 73 in a traffic accident. Kim had been in charge of relations with South Korea as the head of the party's United Front Department since 2007. KCNA added that a state funeral would be held on 31 December 2015. The reported inclusion of Choe Ryong-hae in Kim Yang-gon’s funeral committee has prompted speculation that he has been welcomed back into the leadership fold after a short period in the political wilderness. John G. Grisafi noted December 30th, 2015 that "Kim Yang Gon’s prominence increased with that of Kim Jong Un. From 2000 through 2009, Kim Yang Gon appeared alongside the DPRK leader (then Kim Jong Il) an average of 5.9 times per year. But from 2010 (when Kim Jong Un was officially designated as Kim Jong Il’s successor and become more publicly active) through his death at the end of 2015, Kim Yang Gon accompanied the North Korean leader (Kim Jong Il until December 2011 and Kim Jong Un afterward) an average of 38.2 times per year." The lack of detail helped feed speculation in South Korean media that Kim’s death was suspicious. North Korea was notorious for its human rights abuses, with many former top aides dying in ways that could be deemed suspicious. “North Korea has a long track record of suspicious deaths around high-level officials,” Russian scholar Andrei Lankov, a North Korea investigator was quoted. “Most die either because they are machine-gunned, or they die in car crashes.” Roads in North Korea are said to be poorly maintained, and few people can afford cars, causing some to wonder about the veracity of the official story behind Kim Yang Gon’s death. In 2013, Ri Je Gang, a top North Korean bureaucrat, was reported to have died in a traffic accident. On 10 February 2016, the South Korean news agency Yonhap reported that North Korean Army General Ri Yong Gil, chief of staff of the Korean People's Army chief of North Korea's militarym had been executed that month on corruption and other charges, according to sources familiar with North Korea. But North Korean media reported 10 May 2016 that Ri was alive and was appointed to prominent positions in the country's Central Committee, the Political Bureau and the Central Military Commission. Seoul's Unification Ministry said that it confirmed Ri was back after analyzing North Korean state media photos and videos of the party congress. 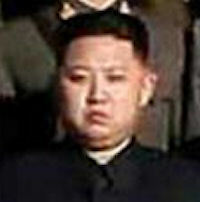 North Korean leader Kim Jong-un was said to be strengthening his reign of terror in 2016. Pyongyang authorities were known to have publicly executed 60 North Koreans by August 2016. This was more than twice the average number of people killed annually in public executions since Kim took power in 2011. The economic situation in the North had worsened due to toughest international sanctions against the regime early in 2016, and authorities were using these executions to control growing public complaints against North Korean leaders. Many of those being killed were family members left behind by defectors, and brokers arranging the defectors' escape routes, as they were perceived to be a threat to the stability of the regime. The North’s Ministry of State Security executed scores of defectors' families and defection brokers in early February 2016 on charges of espionage. Around 10 brokers were executed by a firing squad in Hyesan, Yanggang Province in April 2016. The head of North Korea's spy agency, Kim Won-hong, was sacked on charges of power abuse and corruption. South Korea's unification ministry confirmed 10 February 2017 that Kim was dismissed after being demoted from a four-star general to a one-star general in January 2017 as part of a probe being conducted by the regime's ruling Workers' Party of Korea. Kim Won-hong was a key figure in the Kim Jong-un regime after being appointed head of the Ministry of State Security in 2012. He became known for spearheading the execution of Kim Jong-un's uncle Jang Song-taek the following year. Seoul's unification ministry believes removals of high-ranking officials could continue leading to further instability in the regime. "Pyongyang could become even more unstable due to the increased agitation shown among high-ranking officials and weakened control over the North Korean people, as Kim Jong-un dismissed a key aide that helped build his reign of terror." The spokesperson added that Kim Won-hong and many officials from the security ministry could receive harsh punishments depending on the outcome of the investigation by the ruling party. An official from the South Korean unification ministry analyzed that Kim Jong-un's decision to sack the security ministry chief is part of the leader's efforts to shift the responsibility to the agency as the North Korean dictator is losing support from the public. Kim Jong-un's reign of fear continued to escalate since he came to power in late 2011, with the South Korean Institute for National Security Strategy reporting the reckless leader has executed at least 140 officials by using machine guns and even flamethrowers. The Tokyo Shimbun reported on 03 April 2017 that a failed attempt was made to blow up North Korean leader Kim Jong-un’s exclusive train in May 2016. The incident was used as an example in a recent lecture hosted by the State Security Department of North Korea in South Pyongan Province. The lecturer explained that a man had contrived the plan to remove Kim and overthrow the North Korean regime after failing in going on to higher education and became discontented with the North. The man aimed to blow up Kim’s train by planting explosives along a railway leading to the venue of an event during the Workers' Party Congress in which the North Korean leader was set to participate. A June 2017 study by the RAND Corporation, a US government-funded think tank, proposed a radical new solution - incentives such as immunity from prosecution for human rights abuses might be used to encourage senior members of the regime to stage a coup against the country's leader Kim Jong Un. North Korean propaganda indoctrinated the regime's elites to believe that reunification with South Korea would be a disaster to them and result in loss of power, influence, wealth and prestige. In extreme cases, should the collapse of the regime in Pyongyang involve outbreaks of fighting, then it might even cost them their lives. So RAND argued that the most critical element of signaling external support for any such uprising against the latest member of the Kim dynasty to rule the nation will be promising coup plotters that they will be protected and even have a say in a post-Kim North Korea. The study concluded that the "conditions for unification could develop at any time" and that South Korea needs to assemble funds to support the cost of unification and to underline that its plans are serious. "There is no question that ousting the Kim dynasty by fracturing the elite is a strategy that has been considered and that outcome would be popular, but we cannot underestimate the monitoring carried out by the regime's instruments of repression and the punishments that are handed out to anyone who is disloyal," said Daniel Pinkston, a professor of international relations at the Seoul campus of Troy University. "And even if there is a person in the regime who is so committed to removing Kim that he would be willing to risk his life, then we have to remember that under the North Korean system, the family of anyone who is disloyal is also held accountable," he told DW 02 June 2017. According to Toshimitsu Shigemura, a professor at Tokyo's Waseda University and an authority on North Korea's ruling family, "There have been at least three attempted coups since 1992 and another one is, of course, possible if a sense of distrust in Kim's leadership grew more broadly throughout the armed forces... But it has become increasingly difficult to cooperate in a coup because all officials' phones are tapped and their movements are watched very closely. Organizing an uprising on the scale that would be needed to overthrow Kim would be an extremely difficult task". During a briefing on 20 November 2017, South Korea’s National Intelligence Service (NIS) told the National Assembly’s National Intelligence Committee that there were reports indicating that North Korea was carrying out a political audit of the General Political Bureau of the North Korean People’s Army, the first such audit in 20 years. As part of the audit, the NIS said, the regime had punished Vice Marshal Hwang Pyong-so, whose position as head of the bureau gives him authority over military appointments. “We have received intelligence that Choe Ryong-hae [vice chair of the central committee of the North Korean Workers’ Party] is leading a political audit of the General Political Bureau for the first time in 20 years after taking issue with its ‘impure attitude’ toward the party. Our intelligence also indicates that political officers in the General Political Bureau, including Director Hwang Pyong-so and First Vice Director Kim Won-hong, have been punished,” the NIS said during its briefing to the National Intelligence Committee on trends in North Korea. Pyongyang reported that it held the first enlarged meeting of the ruling party's seventh central military commission on 18 May 2018 and said it dealt with organizational matters like removing and appointing members of the commission and military organs. North Korea replaced its defense minister with a moderate figure ahead of a historic summit with the United States on 12 June 2018. Citing a source familiar with North Korean affairs, Japan's Asahi Shimbun daily reported that Pak Yong-sik, the Minister of the People’s Armed Forces, has been replaced by No Kwang-chol, head of the second economic committee of the ruling Workers' Party. Asahi also reported that Kim Su-gil is said to have been appointed as the director of the General Political Bureau of the Korean People's Army last month. No and Kim have been widely seen as moderates in the military. The report also said that Ri Myong-su, chief of the Korean People's Army's General Staff, is rumored to have been replaced. This marked the replacement of all three of North Korea’s top military officials in six months. Pyongyang appeared to have brought in moderate figures in the military to avoid confusion ahead of the summit with the US. Some view that North Korea felt the need to bring about change in its military along with the diplomatic turnaround surrounding the Korean Peninsula. Especially with the with the US, some watchers said Pyongyang could have wanted to clear hardliners out of the way and tame the armed forces. But others point out that distinguishing hardliners and softliners within the North Korean military is meaningless as Kim Jong-un already reorganized the army 4 years ago. They say age could be the reason for the reshuffle. Pak Yong-sik and Ri Myong-su came down to Panmunjom for the inter-Korean summit in April but they headed back to the North before finishing off the day's schedule. They are very old; they were born in 1930s and 1940s, so they can't be out for even a day-long schedule.